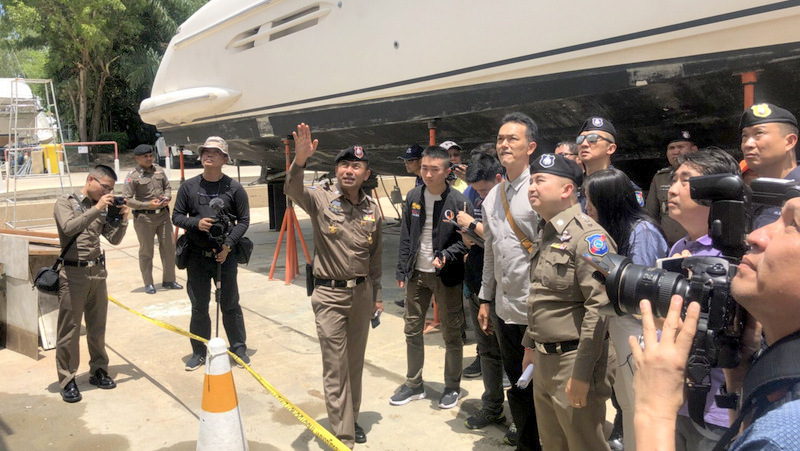 PHUKET: Ten boats operating in Phuket have been banned from operating as they have been deemed unsafe in the ongoing crackdown on marine safety in the wake of the Phoenix tour boat disaster that killed 47 tourists. 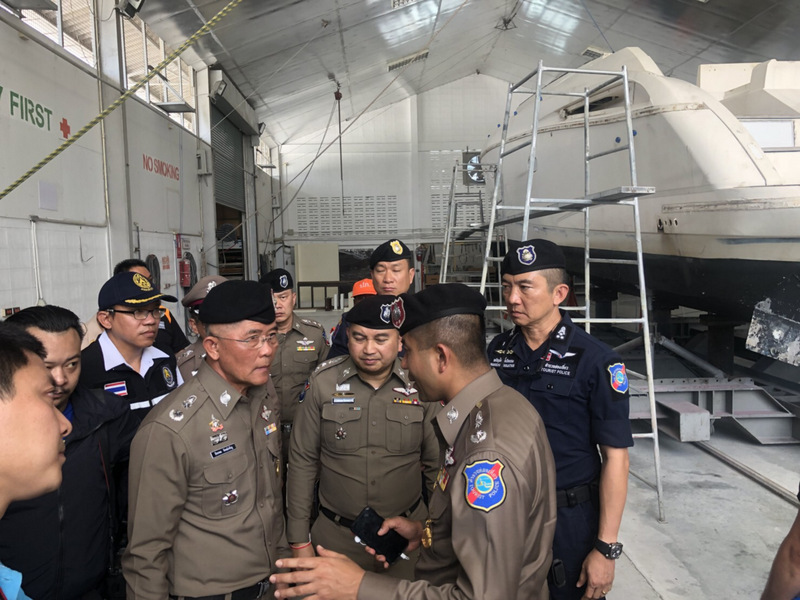 Tourist Police Deputy Commander Gen Surachate Hakparn announced the news during an inspection of tour boats, fishing boats and shipyards in Phuket yesterday (Aug 3). 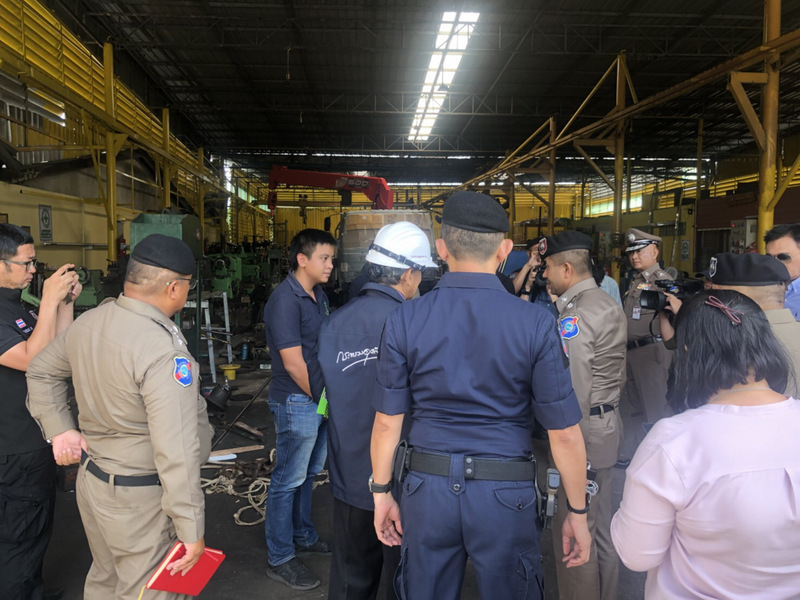 More than 400 boats have been inspected since the crackdown was launched, Gen Surachate explained, with more than 200 of them found not meeting safety standards. 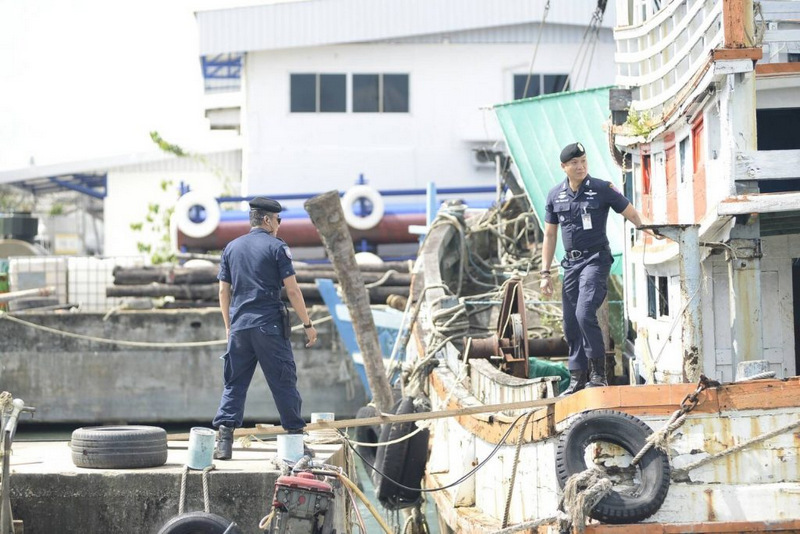 The operators of the 200 boats have been ordered to meet the safety regulations or face the same fate. 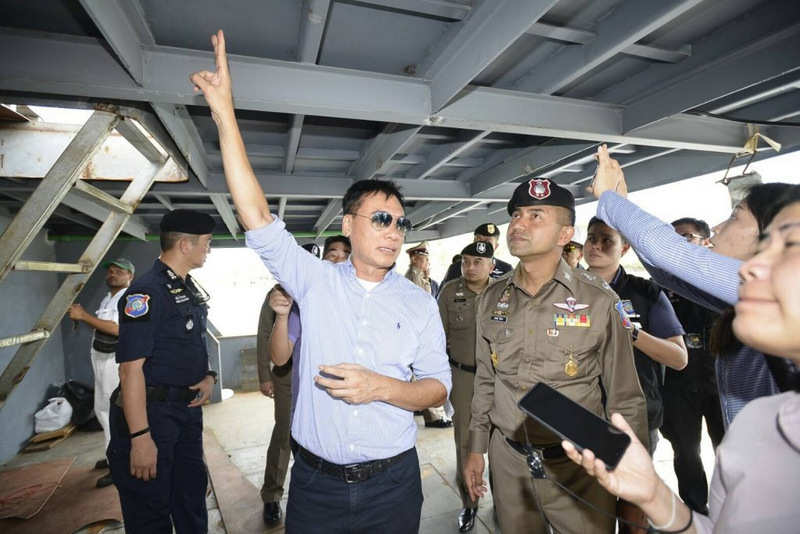 Gen Surachate yesterday conducted inspections at eight major tourist-departure piers and shipyards in Phuket, starting with Chalong Pier. 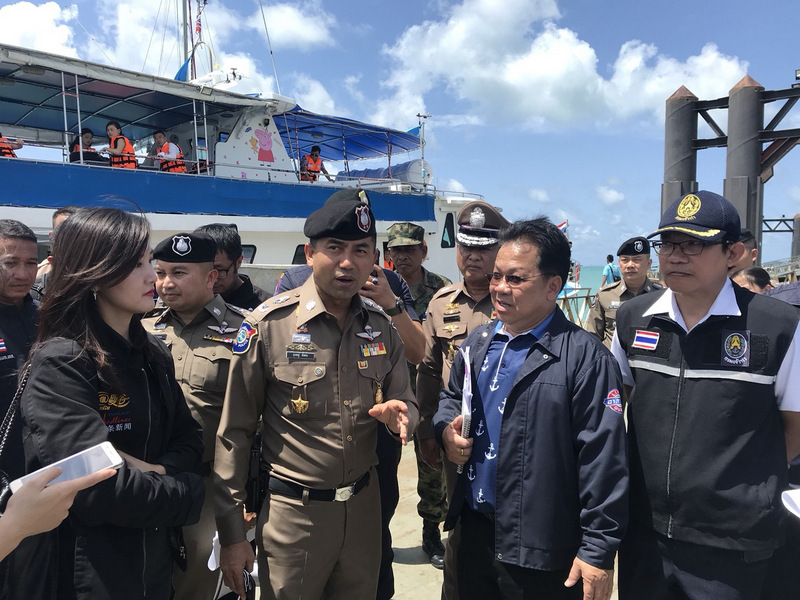 Other locales visited by Gen Surachate and his team of inspectors yesterday included the busy Rassada Pier near Phuket Town, the Phisit Panwa Pier, Boat Lagoon, Rattanachai Shipyard and Ao Por Pier, all of which are major tour boat ports in Phuket. 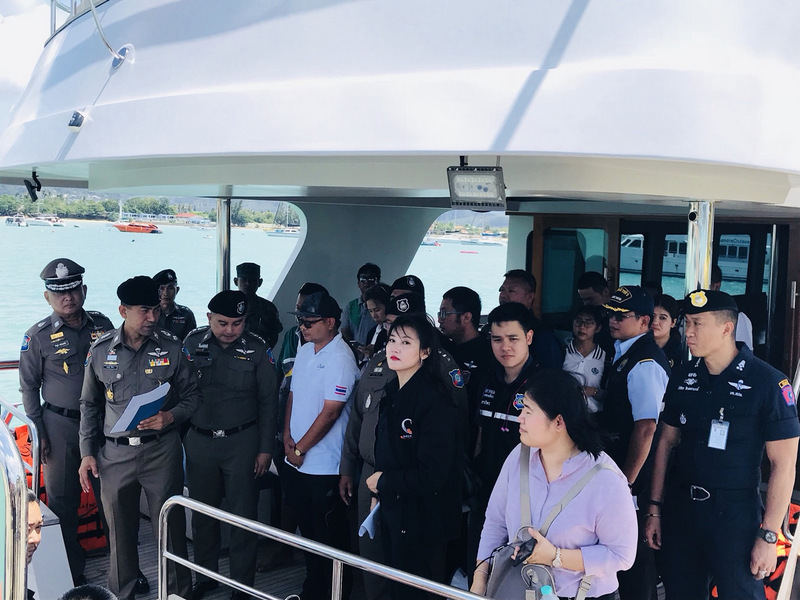 The aim of the inspections, and the crackdown, is to improve marine safety in the tourism industry and to restore confidence among Chinese tourists to travel to Phuket and the Andaman region, Gen Surachate explained. More than 20% of travel bookings by Chinese tourists had been cancelled since the Phoenix disaster, he added. 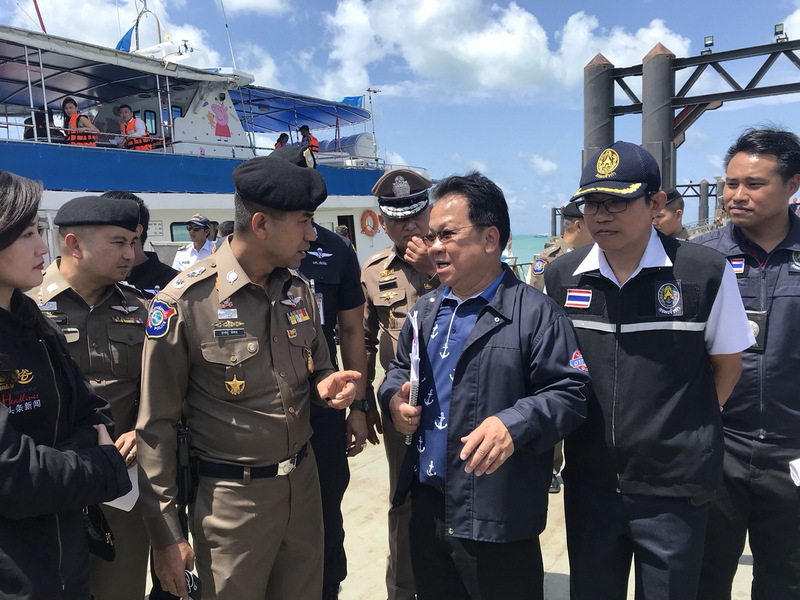 The order to ensure tour boats in the region are safe comes directly from Prime Minister Gen Prayut Chan-o-cha and Deputy Prime Minister Gen Prawit Wongsuwan, he added. 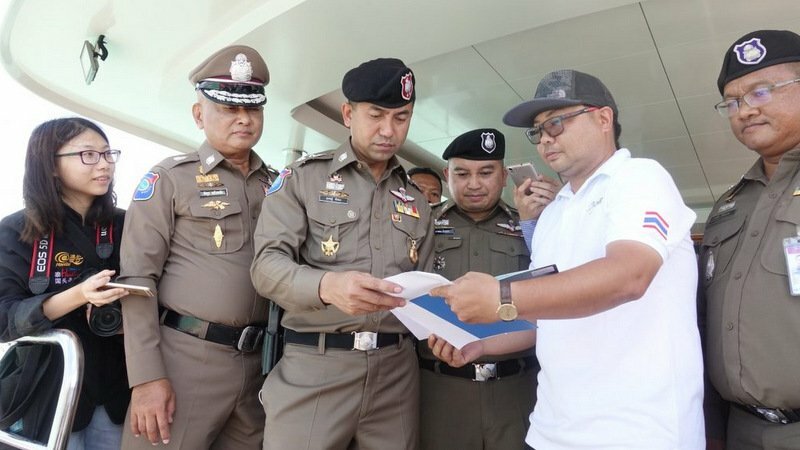 The campaign is a joint effort, with the Royal Thai Police, Royal Thai Navy, Ministry of Tourism and Sports and relevant government offices, including the Marine Department, ordered to play their part. 1. Raise the standard of tourist boats. 1.1 Check shipyards. Must comply with international standards and be fully legal. 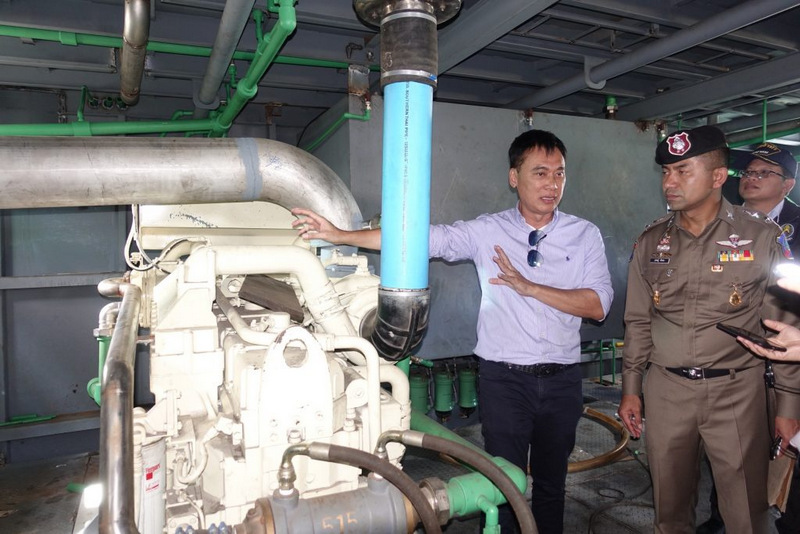 1.2 Inspection of the ship must be in full condition, ready to use 100%. 2. 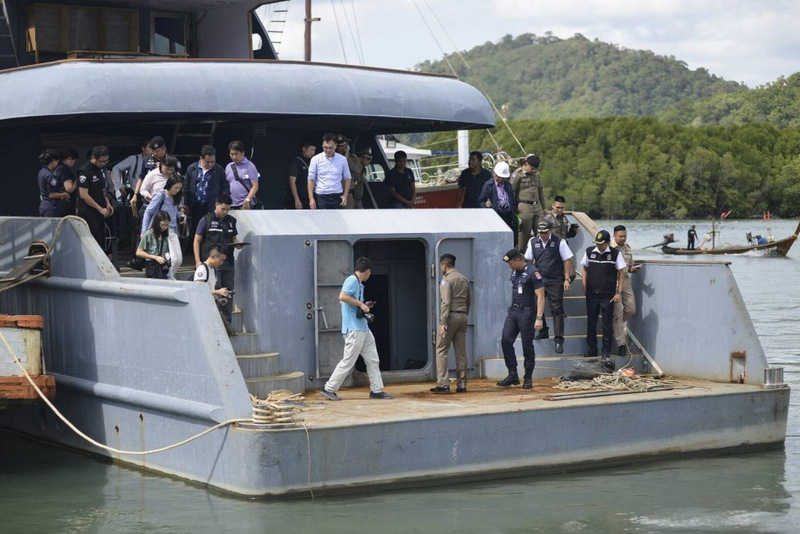 Check the boat and organise tourists before boarding. 2.1 All ships must depart from the wharf and meet the standards set by the province. 2.2 All ports must comply with Marine Department laws. 2.3 All ships must be discharged from the port to be inspected in accordance with 1.2. 2.4 Tourists on board must obey and comply with the order of officials and relevant law (including tour guides and travel agents). Raise the standard of maritime safety. 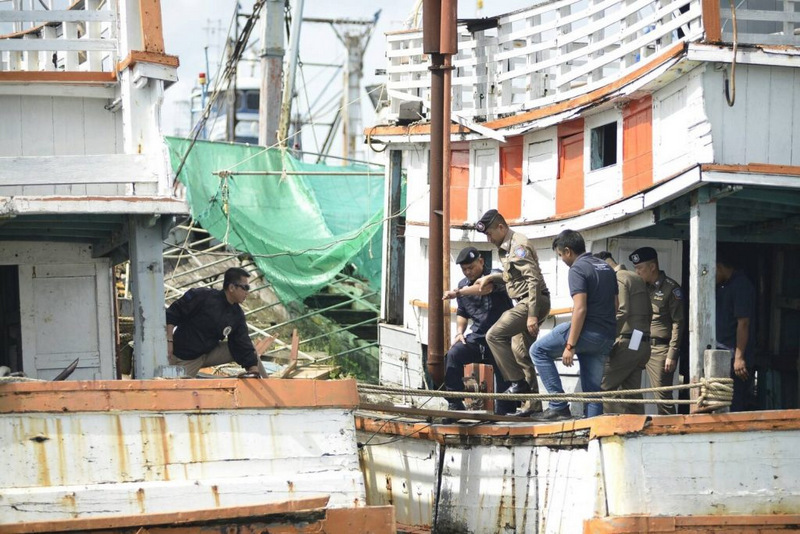 3.1 Inspect outbound sea-going boats. Suppress wrongdoing by executing the law to its fullest extent. 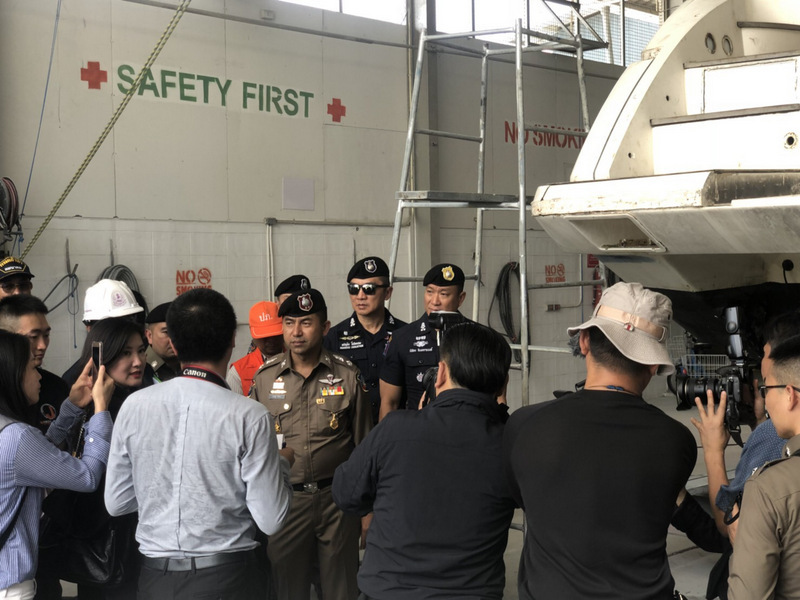 “If an entrepreneur violates any laws or violates the safety standards relating to water or land travel, legal action will be taken immediately,” notes the order. 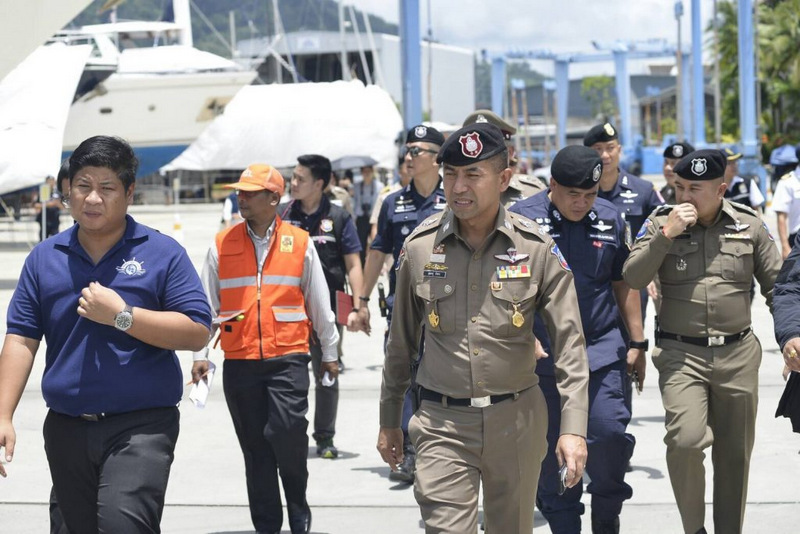 Port Inspection teams have been set up to check boats at 24 major piers in Phuket. 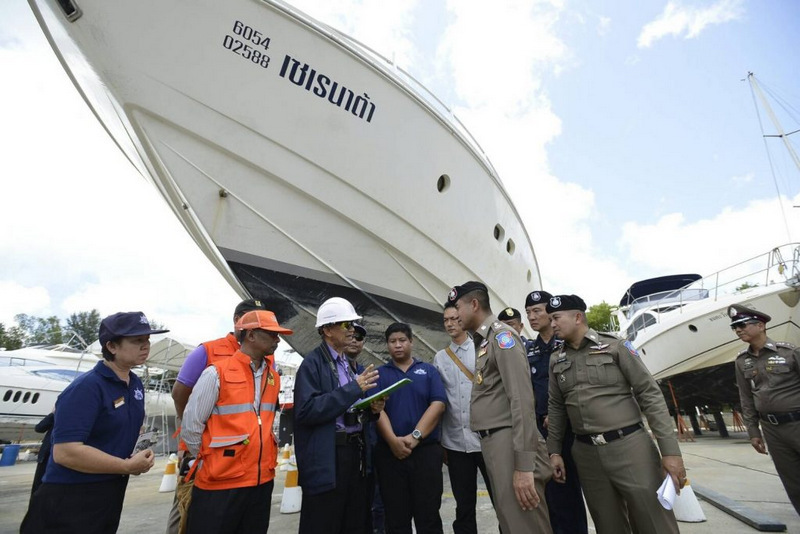 Any boats that do not pass inspection will not be allowed to leave the port. Specifically, for any boats departing on island tours, the ship's commander must notify the port inspection team and marine officials of the boat name and details of the hull, the exact number of passengers and the coordinates of where the boat is travelling to. 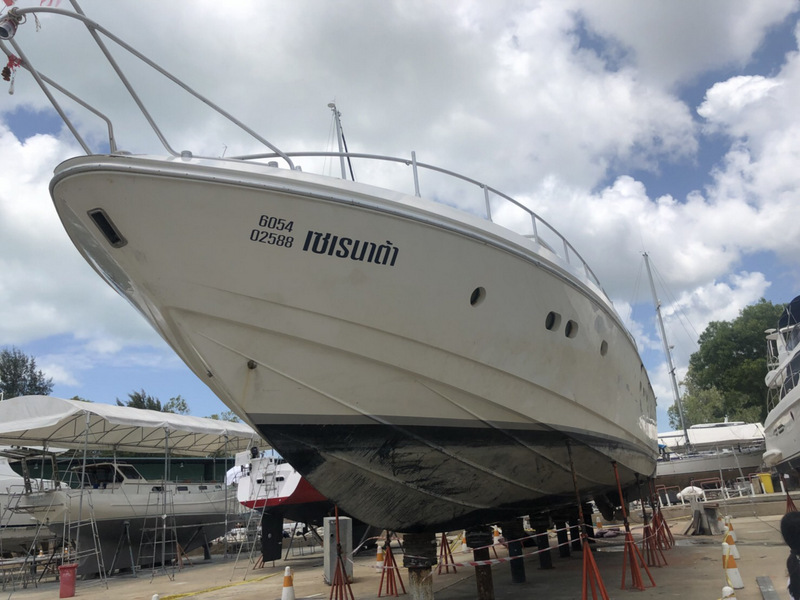 In inspecting boats under construction, repairs or renovations, the hull and the assembly of the vessel must meet safety standards, with the blueprints of all boats inspected and authorised by signatories. 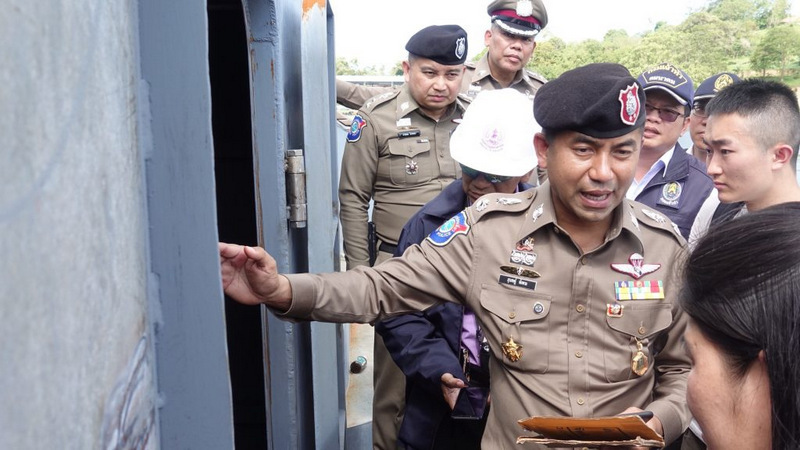 “If the boat does not meet the standards, the Marine Department boat inspectors must be held responsible,” Gen Surachate said plainly. 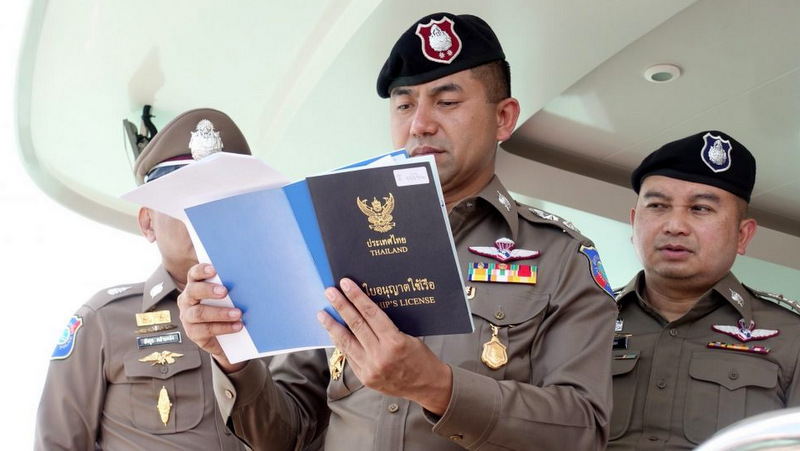 “The measures taken to solve this are both short-term and long-term and are to encourage tourists to visit Thailand,” said Gen Surachate, adding that a VIP lane had been set up at airports to make their arrival more convenient. “We want to show with sincerity that Thailand does not want to exploit the Chinese," he said. Can't see them running to these laws. Many laws here that get forgotten because they just don't care. 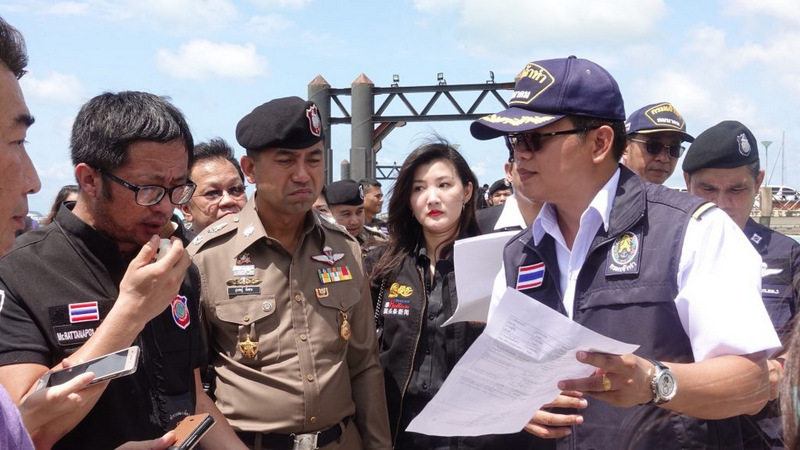 This dog and pony show will blow over and be forgotten in no time and will be back to lazy Thai ways, "We want to show with sincerity that Thailand does not want to exploit the Chinese" that must be hard to say and keep a straight face as that is all Thailand does. 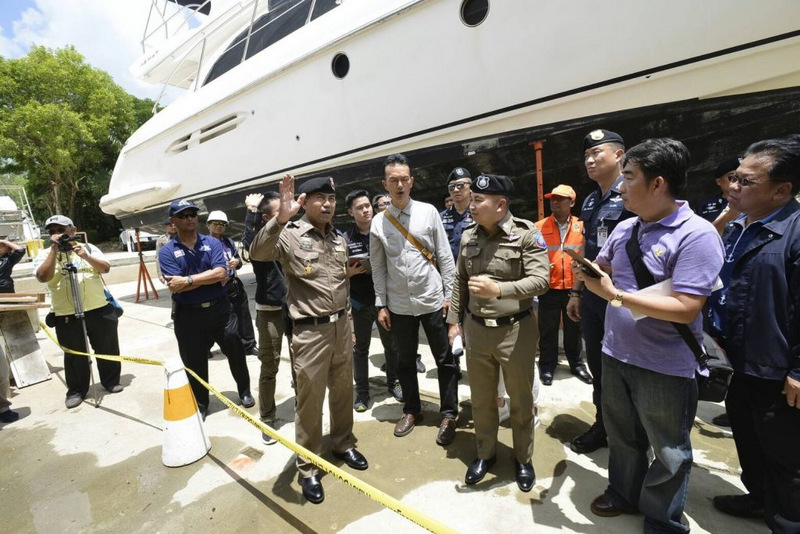 .."why not name the boats/companies that did not pass?\"  That is exactly what is wrong on Phuket. They not want to name, they not want to know. They don't care about safety, that is many years the 'culture'. Proven by weekly happenings. None of the boats meet international standards. They only meet the brown envelop standard. All must feed thai families, right? Why not name the boats and the companies running the ones that did not pass? 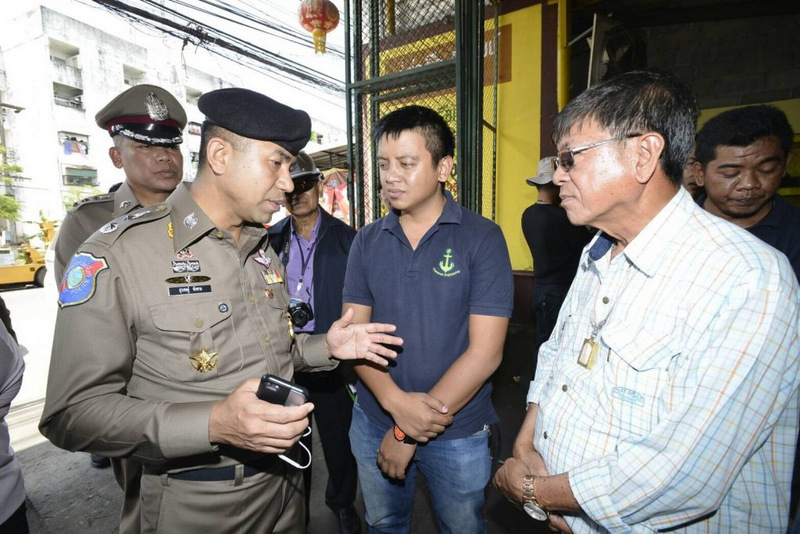 Then the public, tourists and agents will be aware what is safe and what is not?? If no one knows which boats passed and which did not how does anyone know which are safe to have tourists on and which are not?? Just a question?? Words are cheap and enforcement here is always lax. As usual we expect this all to be forgotten in a few days.